M. Nick Nita has sucessfully helped thousands of California consumers with their lemon law cases against the car manufacturers. Our mission is to maximize the clients' recovery while minimizing the negative aspects of dealing with a defective vehicle. Attorney M. Nick Nita will personally evaluate your lemon law case and will promptly respond to you the same day. If you purchased a new vehicle and experienced problems that could not be repaired after a reasonable number of attempts, you may have a lemon. If this is the case, the manufacturer is required to replace or buy back your vehicle. 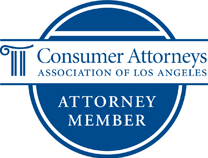 This has been the law in California for more than 45 years, yet consumers today still struggle to exercise their rights under the law when dealing with car dealers and auto manufacturers. Don’t worry though; the Nita Lemon Law Firm is here to help. Attorney M. Nick Nita has practiced exclusively in lemon law and dealer fraud for 15 years, and he has personally handled over 10,000 cases in that time. It would be hard to find anyone else in the state with as much experience in California lemon law. As a client of the Nita Lemon Law Firm, you will directly benefit from this experience, because Attorney Nita personally handles all aspects of every case from beginning to end. Your case will never be pushed off to a paralegal or junior associate who is lacking in knowledge or experience, as can happen in larger law firms. At the Nita Lemon Law Firm, we are wholly devoted to providing the utmost in personal service and attention, and achieving results. When you are stuck with a lemon, California lemon law offers several options to address your problems and make up for your all your losses. For instance, you can obtain a refund of all the money you put into the purchase of your vehicle, with the manufacturer paying off the balance of your loan. You can also receive a brand-new vehicle in exchange for your lemon at no additional cost to you. Finally, you can decide to keep the car and live with the defect, and receive a cash settlement equal to the car’s loss in value caused by the defect and any costs you have incurred in association with the lemon, such as towing and repair costs. At the Nita Lemon Law Firm, we want you to be made whole as well. That’s why we never charge you for our services. Our legal fees are paid by the manufacturer – never by the client. We do not take a percentage of your recovery; you keep it all. Call our office for a free consultation. In just a very brief phone call, we can usually evaluate very quickly if you have a case, and inform you of the next steps. When life hands you a lemon, call the Nita Lemon Law Firm. M. Nick Nita is the founder and principal attorney of the Nita Lemon Law Firm, where he practices exclusively in the areas of California lemon law and automobile fraud statewide. Since 2003, Mr. Nita has personally handled over 10,000 cases of lemon law and dealer fraud, amassing a wealth of experience likely unmatched anywhere in the state. Mr. Nita personally handles all aspects of the case from start to finish, quickly assessing a client’s claim and achieving a positive resolution as speedily, efficiently and satisfactorily as possible. If you have problems with a defective vehicle, you have numerous consumer rights under California Law that protect you, so that you are not stuck with a lemon vehicle. Nita Lemon Law Firm can help you with your car problems free of charge. To see if you qualify for a Refund, Replacement Vehicle or Cash and Keep settlement, please call (877) 921-5256 or fill out our FREE Lemon Law Case Evaluation form. For fastest service, send us your vehicle’s entire repair history via fax at (213) 402-8444 or email at nick@nitalemonlaw.com. What problems are you having with your vehicle? Describe the vehicle problems and tell us how many repair visits you currently have. Tell us anything else you feel is relevant to your Lemon Law Case. I have read, understand, and agree to the disclaimer.